Toyota will continue to race in the WEC next year, signing up for the 2019-20 campaign in the LMP1 class. Toyota Gazoo Racing has confirmed it will continue to race in the FIA World Endurance Championship's LMP1 class through the 2019-20 season. Following the departure of fellow LMP1 manufacturers Audi and Porsche in 2016 and 2017 respectively, Toyota was left as the sole non-privateer team in the WEC's premier class, but continued to race against a raft of new entrants to the category. Toyota claimed its maiden 24 Hours of Le Mans win in June, and has won four out of five rounds of the current WEC season that will end at Le Mans this year. Having widely been expected to continue its commitment to the WEC in the final year of the LMP1 class in its current form, Toyota issued a statement on Thursday confirming it would be returning to the championship for the 2019-20 campaign. "TOYOTA GAZOO Racing will compete in the 2019-2020 FIA World Endurance Championship (WEC) season, it was confirmed today," the statement reads. "The team will enter two of its hybrid-powered TS050 HYBRID race cars into all eight rounds, beginning on 1 September 2019 with the 4 Hours of Silverstone and concluding with the Le Mans 24 Hours on 13-14 June 2020. "The driver line-up for the 2019-2020 season will be announced at a later date. "TOYOTA GAZOO Racing is currently leading both the drivers’ and teams’ World Championships following five of eight rounds in the 2018-2019 WEC season. It aims to extend that advantage in the next round, the 1000 Miles of Sebring on 15 March." 2019-20 will be the final year of the LMP1 regulations before they are replaced by new a hypercar-led technical rule base for 2020-21. 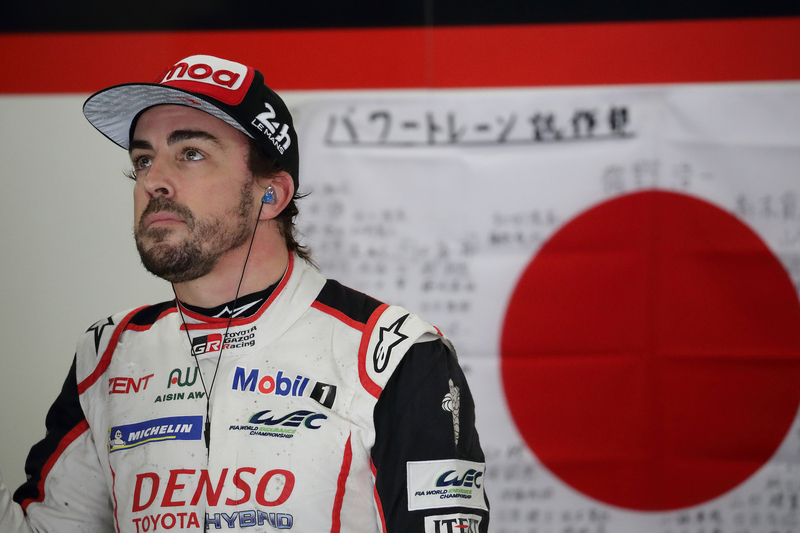 The main question mark hanging over Toyota's line-up for next season is whether two-time Formula 1 world champion Fernando Alonso will continue to race in its LMP1 line-up. Alonso joined Toyota at the start of the 2018-19 WEC season as part of his bid to win Le Mans, aiding his pursuit of the triple crown of motorsport. He led the team to victory alongside Kazuki Nakajima and Sebastien Buemi at the race last June. While Alonso is committed to race for Toyota at the final three rounds of the current campaign, much of his attention has now turned to the Indianapolis 500, the final missing leg from his current triple crown aspirations. The Spaniard said last month at Daytona that he was "50-50" over continuing with Toyota, and that he would make a decision following the conclusion of the current WEC season in June. Besides Alonso, Nakajima and Buemi, Toyota runs a second car comprising Jose Maria Lopez, Mike Conway and Kamui Kobayashi.